Two Eau de Parfum 30ml made as a test batch of the perfume concentrate I composed. Catalyzed with Oil of Copper from Kymia Arts a true master craftsman and alchemist. The Oil of Copper is Divine material, it smells like a celestial rose and tastes like the heart of hearts. The base alcohol.for dilution was composed from my own "glorified tincture" of damascena rose with rose hips. The perfume concentrate is a high quality mix of essential oils, absolutes, resins, and handcrafted tinctures. ABSOLUTES are expensive high-grade perfume extractions from the natural material! Ingredients include: Jasmine Absolute, Tonka Absolute, Tolu Resinoid, Vanilla Oleorosin, Real Ambergris, Tobacco Absolute, Frankincense essential oil. And more..... 1# and 2# are slight variations on the original mix. 1# Is Feral Jasmine, Dark, Sharp, Penetrating at first. Softens but exudes a catlike feral intensity throughout. 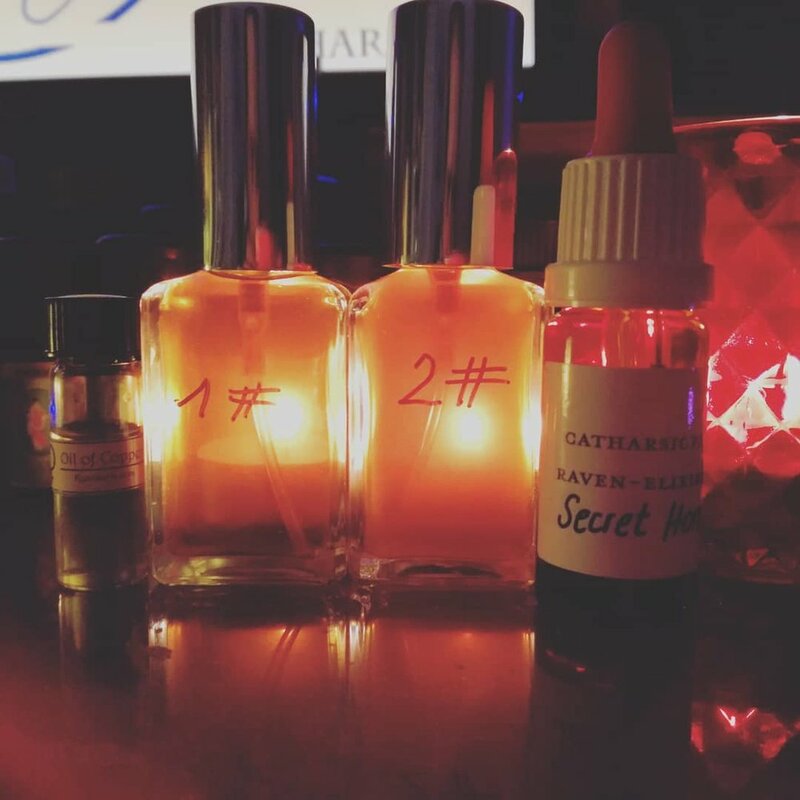 2#is the Light version, warm, seductive, alluring jasmine, beckoning with warm sweet vanilla powdery tones, drying into a sweet warm finish. 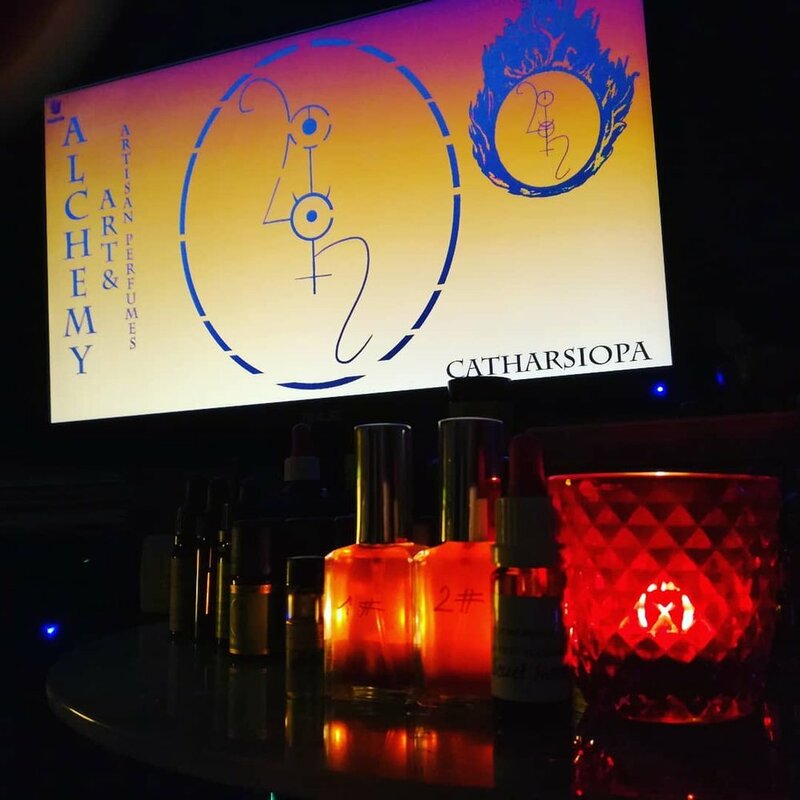 Due to the Ingredients, these are highly potent perfumes, they exude the living souls of the materials used, they impart messages to those willing to listen or fall deeply into contemplation just smelling the words spelled through the evolution of their scent.